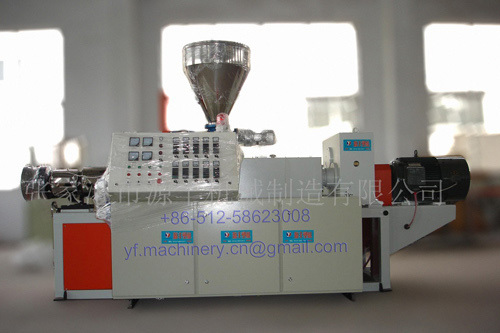 Twin screw extruder is suitable for powder and granules,or even the mix materila of them. The capacity of twin screw extruder is twice as single screw extruder. Conical twin screw extruder has strong plasticization because of the structure of conical screw and two screws.